New Year's Eve is coming up, just a few days away, do you know what you're doing? What you're wearing? Whose driving? Whose drinking? It really doesn't matter because you still have a few days to figure it out. All that matters is that for a night out you pack the essentials and that's it. Men always travel in "essential mode" because that do the keys-wallet-phone check and their pockets are deep enough that they could carry a small country in them anyways, but women don't have that luxury. Every one going out should have an essential checklist. 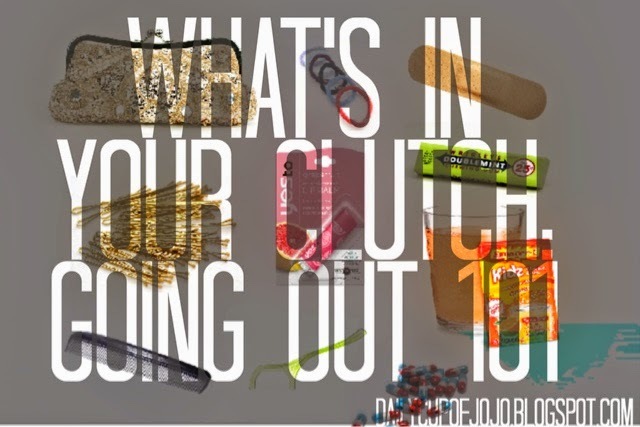 Whether it's in a clutch, wallet, wrist-let, etc. I think women should have the standard black, gold, and silver clutches because those are accent colors and go with everything. We should also try to buy them in a variety of forms such as across the body, something with a wrist strap, or one with a handle. You never know what the situation will be calling for but make sure it's no bigger than 10 1/2" by 6". I don't consider that a clutch and their fore your cheating on your "limited space" concepts. So what are these "essentials" I keep talking about? I'm talking, like, bare bones of a purse. Is is about to but your Micheal Kors tote bag to shame. In order to have a good time, but keep your packaging small follow these steps. This is my new years clutch. 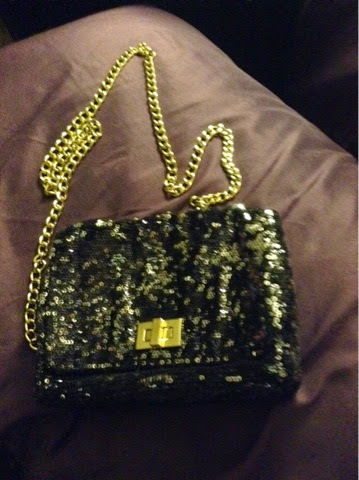 And since my birthday and new years are so close together, it might be my birthday clutch too. Its about 5" in height and width. Pretty small but gets the job done. Plus it has a lot of accent colors in it so it goes with everything I wear. This is an across the body set up as well so my hands are free the whole night. Chapstick: I prefer the Yes To Go brand because it's not as round as carmax or regular Chapstick and has a slimmer fit. 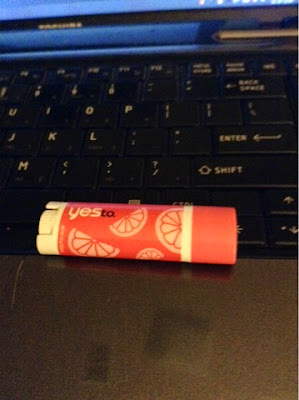 None of that eos stuff will be involved, save that for your backpack. 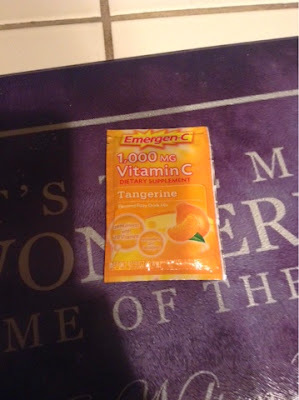 Emergen-C: pour into a double shot of water and drink on your way to your "crunk" session. It will help with a hangover, if necessary, or will give you energy for a good portion of the night. That's a tip from a cop so take that as you will. Gum: No one wants to taste or smell your martini breath. Quick Fix that with a breath defender. You don't need the whole pack, don't go crazy this isnt' Wild N Out. Just bring a stick or two. 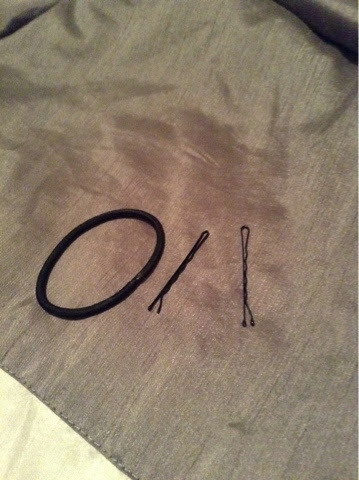 Bobbie Pins and a hair tie: You only need a few pins and one hair tie. These things are like ninjas and can save you from any kind of hair day the weather calls for. Hold them close, and in a special place in your clutch! Comb: To tame the mess from whatever activity you jsut got done doing. Give your hair a nice blow out by brushing out all your knotts. Tylenol: Just in case the Emergen-C wears off. some sort of pain reliever will be nice on the drive (or ride if you cant handle it) home. 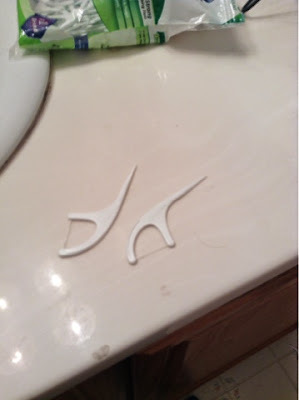 Dental Floss: I prefer these little stick things because you can easily pick that spinch or choclat eout of your teeth without having to pull, tear, wrap, and clean; the typical floss process. You can concentrate on whats-his-face instead of whats in your face. AND if you must have a make up item in your purse, I'd go with eyeliner, not liquid, but the kind you put on your lower lid. That one tends to deteriorate faster than the top liner. Stick that in your purse and maybe a compact mirror to compliment it. If you're wearing heels, collapsible flats are a promising alternative, just remember you cant fit your Jimmy Choos inside your clutch. NOTHING MORE GOES IN THIS PURSE. The idea is to not have to worry about losing anything major. Leave your ipods, ipads, digital cameras, and the kitchen sink at home. Go out and have a good time. Be safe and make wise decisions. Welcome 2015, you;re going to be a good year!.